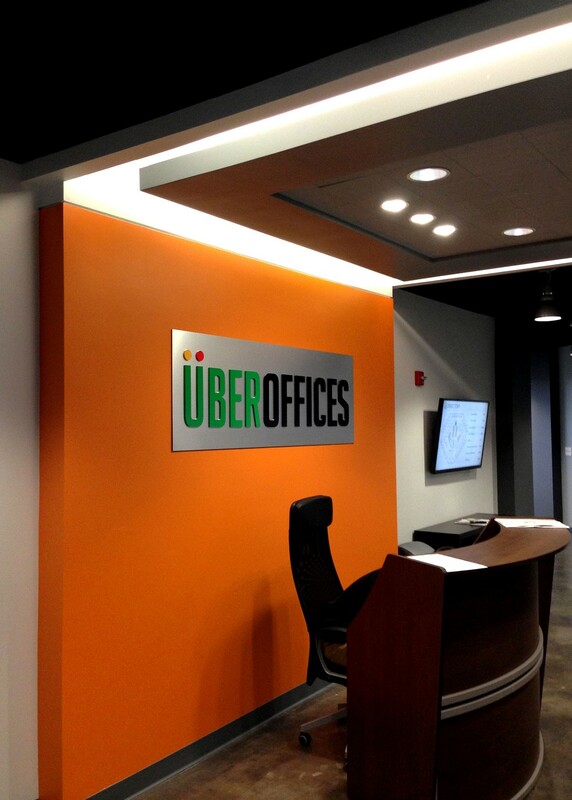 UberOffices (now MakeOffices) provides office space for small businesses, startups, freelancers and entrepreneurs in a collaborative, professional environment. 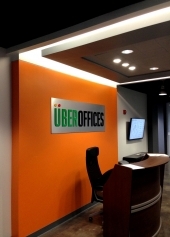 MakeOffices required an interior design that echoed their high-tech, contemporary personality while offering their customers a relaxed yet cutting edge work environment. Because MakeOffices rents workspace to start-up companies, the space needed to be casual yet remain professional. The client’s philosophy that “companies need real estate that will grow with them” was realized in the inclusion of varying office sizes and collaborative spaces. Early in the renovation process the decision was made to bare and seal the concrete floors to give the space an urban feel. The texture of the floor adds interest and lends to the contemporary feel of the space. The ceiling was exposed to provide added height. 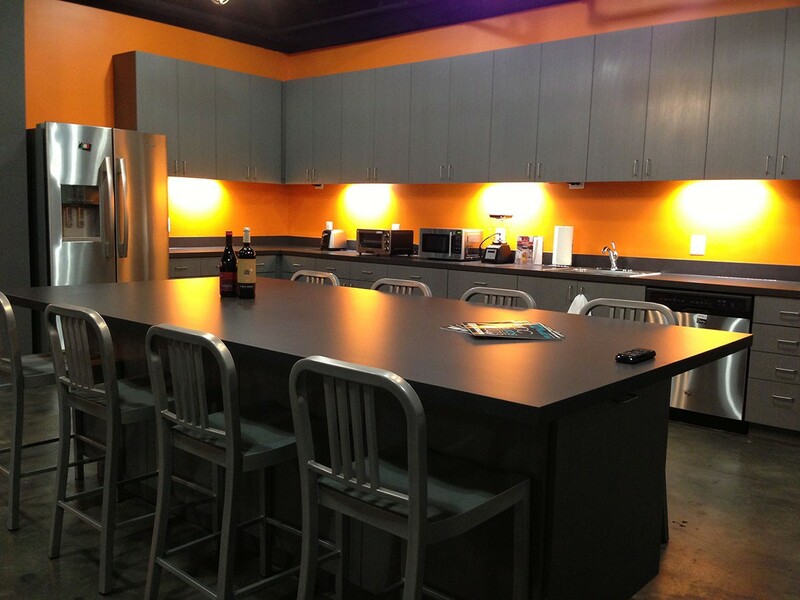 Light fixtures were chosen for their industrial appearance and blend with the open structured ceiling. 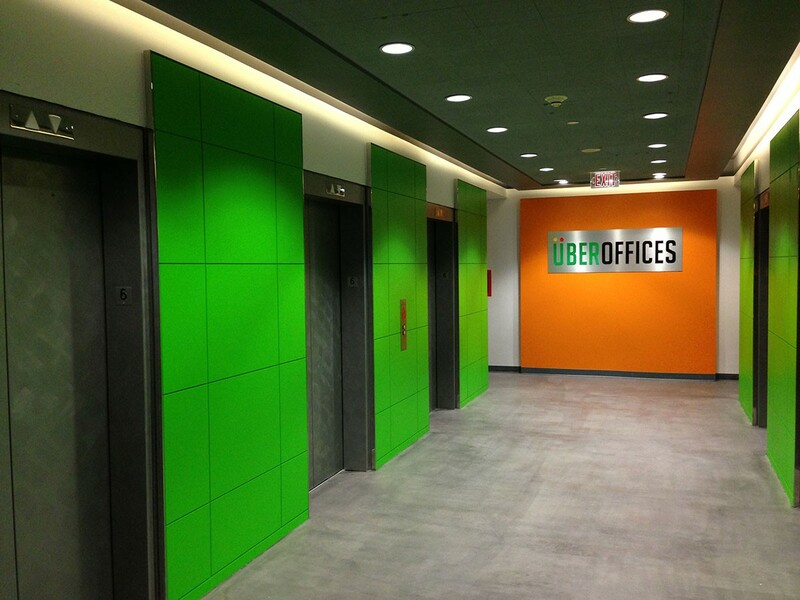 Bold color statements throughout reflect the company’s colors and foster a fresh and creative atmosphere.